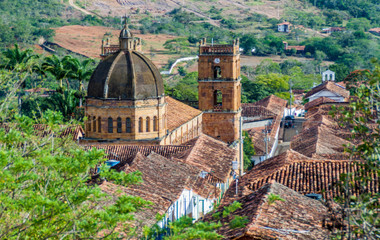 The best kept secret for adventurous travelers are Colombia tours that combine the old world charm and natural beauty of this coastal South American country. A Colombia holiday can include Pacific Ocean and Caribbean Sea beaches, archaeological explorations, salsa classes, UNESCO world heritage sites, and more. Karol has been very professional and also very kind when on the phone with me. She not only arranged a fantastic trip for us, but also did her best to..."
After the historic September 2016 peace agreement signed by President Juan Manuel Santos, a new era of nonviolent existence began, earning Santos the 2016 Nobel Peace prize and ending over 50 years of civil war. As Colombia moves further away from its troubled past, more and more people are venturing to see the diverse treasures this vibrant nation holds. With an acute sense of determination, Colombia is a global example for troubled countries looking to make an impact in the world of tourism. 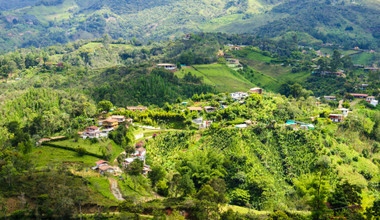 A brief conversation with any local will reveal the extensive possibilities offered for tours, which not only demonstrate the broad range of activities available, but also the unique passion and pride that Colombians have for their country. 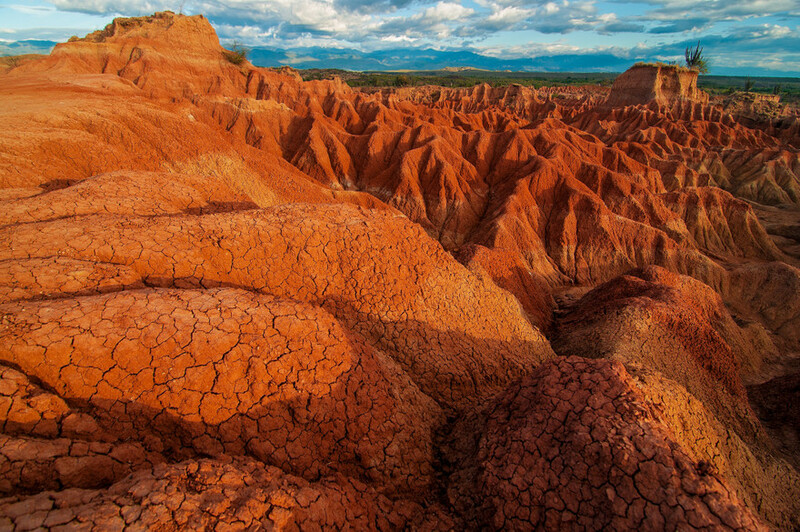 When you travel to Colombia, you will discover everything from a wealth of golden sand beaches to snow-capped peaks to bustling metropolises to Amazon rainforests to a vast array of wildlife and incredible desert landscapes. Indeed, for all that dazzles in Colombia and demands your attention, the warmth and hospitality of the locals is what makes trips to Colombia so enchanting. The profound sense of optimism among the locals is contagious. While there are still areas of Colombia that aren't recommended for tours, there is so much of the country open for exploration that the favorite tourist routes have become increasingly refined. Most trips to Colombia begin in the country's capital city, Bogotá, a bustling city that sizzles with salsa and electronic music at night. By day, there are 250 kilometers (155 miles) of dedicated bicycle trails to explore, a tramway or funicular ride to the peak of Mount Monserrate, and the famous Museo del Oro, or Gold Museum, containing three floors with over 55,000 pieces of gold artwork. Medellín is perhaps the best example of Colombia's incredible transformation. Once considered the most dangerous city in the world, civic pride and innovative policies have revitalized Medellin. One of the most amazing additions is the 259 feet of outdoor escalators that connect the community. Along with installing the escalators, the local government distributed brightly colored paint and soon the residents and shop owners began to transform their homes and neighborhoods. Today, Medellin is considered one of the most interesting cities on earth for street art, with colorful murals and lively artists filling the town. 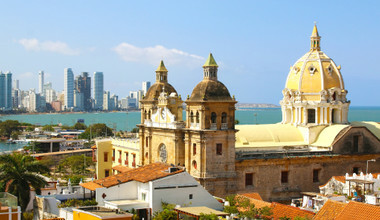 Cartagena, on the other hand, has long been regarded as one of South America's most beautiful cities and tours here have always been popular. It is the picturesque setting of several novels from Nobel winning author Gabriel García Márquez, affectionately known as Gabo, locally. 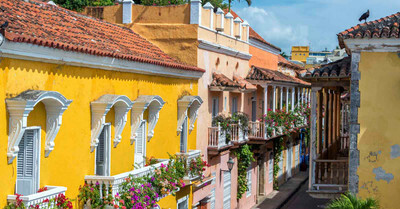 Cartegena is a major port along the Caribbean since the 15th century. No visit to the city is complete without seeing the city’s fortress, Castillo San Felipe de Barajas, a UNESCO world heritage site. From there, a Colombia honeymoon may explore nearby Santa Marta, a coastal town alongside neighboring fishing village Taganga, the perfect location for a taste of Colombia's legendary nightlife. Further down the picturesque Caribbean coastline is Tayrona National Park - a haven of beaches, jungles and mountain views. 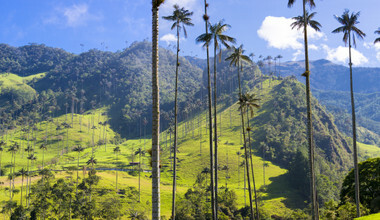 Fans of their morning java will appreciate tours of Salento in the breathtaking Cocora Valley, which is characterized by coffee farms, undulating hills and lush greenery. 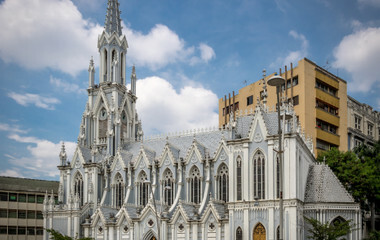 Colombia tours including these highlights and more are just the start of a remarkable introduction to the country's charms, beckoning many return trips in the future. A favorable currency exchange rate provides tremendous value for the international traveler seeking a trending destination. 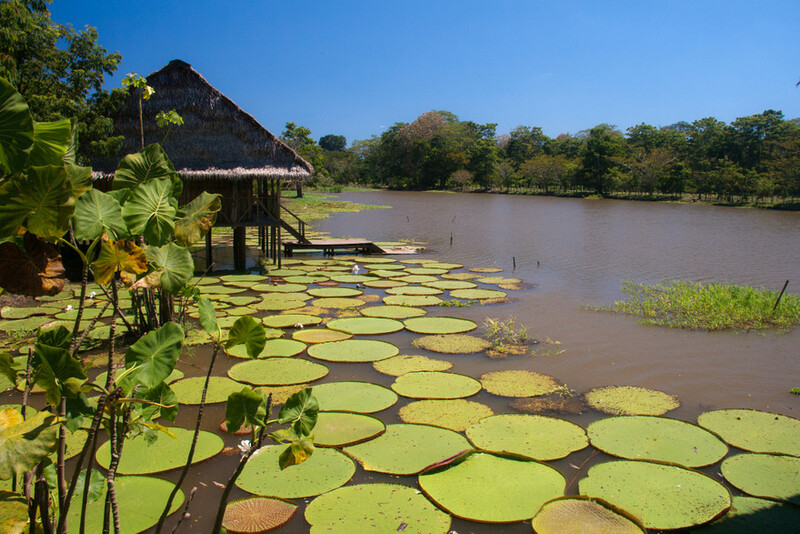 With a Colombia holiday package, you will be guided by a local English-speaking expert who knows the best places to visit on the Colombia private tours. A Columbia vacation is in close proximity to the equator which means an annual temperature variance of only 3-5 degrees, generally with the cooler areas being in higher elevation. 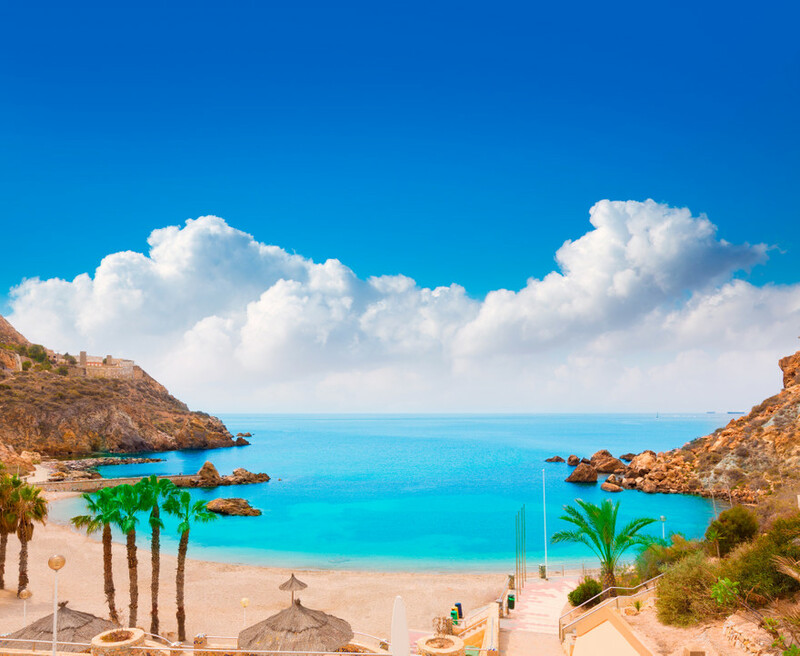 From beautiful warm beaches to moderate temperatures of the mountain cities, the climate is predictably pleasant year round. Colombia’s diverse history provides numerous opportunities for exploration during your visit. Though once a Spanish colony, the original region was populated by two highly civilized ancient native tribes, the Taironas and the Muiscas. Both tribes were known for their metallurgy and goldsmith expertise, as well as their tenacious spirit, proving them difficult to conquer by the Conquistadors. The Taironas were settlers of the famous Ciudad Perdida, Lost City, which predates Machu Picchu by 600 years and the Musicas are responsible for the origin of the El Dorado legend, The City of Gold. 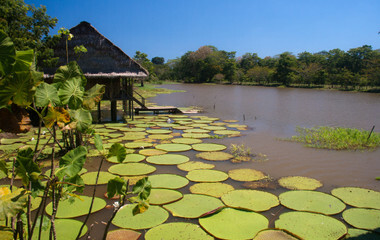 Beyond the ancient history, Colombia private tours also offer visitors the chance to see several natural resources, including Los Flamingos Natural Park, home to a flamingo sanctuary on the country’s Northern coast or and the ever-charming Isla de la Micos, Monkey Island, at the tri-point border of Peru and Brazil. In addition to the nature and archeology, if you’re an active traveler, you can explore one of the many dedicated bicycle routes through Bogotá, zip line on longest zip line in South America in Medellín, or hike 700 steps to the top of El Peñón de Guatapé. 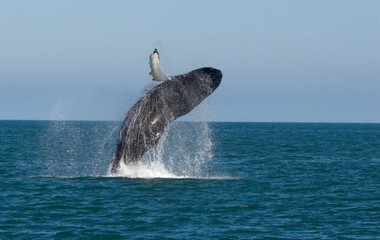 With all the sightseeing, you are certain to work up an appetite, and the food and drink of Colombia do not disappoint. With cultural influences from around the world, the quintessential Colombian dish is Bandeja Paisa; a colorful platter of white rice, red beans, shredded meat, chicharrón (pork rind), chorizo (sausage), morcilla (black pudding), fried egg, avocado, arepa (corn bread) and plantain. 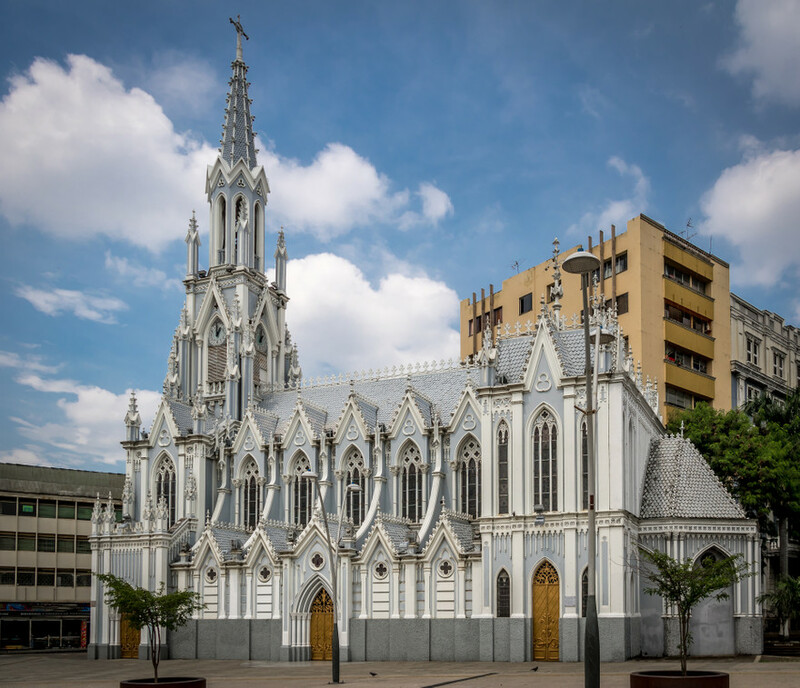 Owing to the lack of international influence in many areas of Colombia over the years, the culture of the country remains strongly intact (and fiercely guarded) throughout the various departments of the country. Nobody on a Colombia tour could fail to notice the diversity of Colombian culture. The differences around the country at times feel so pronounced you could be forgiven for thinking you've changed countries, rather than merely crossed into a different city. Colombia's Caribbean, for example, is characterized by its laid-back atmosphere, where locals listen to vallenato and cumbia (original styles of Colombian music) loudly on expensive speakers attached to their bicycles. This is in stark contrast to Bogota, where salsa, electronic, rock and reggaeton are far more frequently heard (although, being the capital, there is something for everyone). Locals here are far busier and are less likely to stop in the street for a quick chat. Overall, however, Colombian culture is brought together by a passion for life and a love for music and dance. Very few Colombians stay still when the music of Carlos Vives or Joe Arroyo start playing, and these same Colombians are more than likely to extend their hand to you to welcome you to the dancefloor. Food in Colombia typically consists of fairly simple ingredients, with spices used sparsely. Typical Colombian dishes include the monstrous Bandeja Paisa (meat, egg, avocado, rice, sausage and more), arepas (kind of a corn-based dough), lechona (slow-cooked pork with rice), ajiaco (chicken and potato broth), sancocho (another broth), mondongo (trite soup) and arroz con pollo (chicken and rice). One thing you shouldn't miss out on is the vast array of fruits - you'll find out about many you never even knew existed. On tours around the diverse regions of the country you'll find that the gastronomical makeup changes drastically - so stay hungry! What time of the year is it best to visit Colombia? 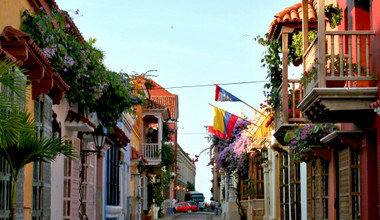 Colombia is a year-round destination, open to tourists whenever they choose to visit. While there are rain seasons along the Caribbean and Pacific coasts, elsewhere these remain unpredictable and, in any case, bearable. December to March tends to be drier in the center of the country while the "wet" season along the Caribbean Coast is said to be in October and November. Take this information with a pinch of salt, however, as the weather is generally very consistent. Karol has been very professional and also very kind when on the phone with me. She not only arranged a fantastic trip for us, but also did her best to solve problems that occurred during the journey. The problems were due to flight delays - huge delays (first in Pereira, then in Cartagena) and rebooking the missed flight to Santa Marta) - so not her fault at all. The arrangements met our expectations and we liked the places in which she had booked our hotels as well as the excursions and driver service which was excellent. Colombia is a very interesting country. The people are nice and pleasant. The food is great. Visiting the Amazon was a dream come true. Karol did a great job. The hotels, their guides, the sites we visited, the drivers. Everything was excellent. Too bad that very few people in the country understand English. Everyone knew their work. It's important that drivers know English too. I highly recommend the company. And Karol in particular. With my husband, we toured Colombia for 20 days. The trip included the visit large and small cities and natural and archaeological parks, moving for long journeys both by car and by plane. This required an organization of drivers and guides that were available in the places we visited. Considering that tourism in Colombia is not yet very developed and that there are few professional guides, Maud did an exceptional job, which allowed us to follow our itinerary without a hitch. So we are grateful to Maud for her assistance. Maud did a great job on following up on emails our questions, before and during the trip. The pick ups and dropping off at airports and for the excursions was perfect. The chosen locations, hotels were perfect. I really liked the fast feedback when I emailed questions. The organization was very well done. Only the last hotel Casa Lola (beautiful building, interior and room) where we stayed the last night was a kind of a minus compared to the rest. Reception people not friendly at all. Power was out when we arrived and the next morning when he had to prepare to get to the airport the power was out again. Very hard to find all your stuff in a dark room. Also breakfast was not as it should be, also due to the power outage and our lack of time.